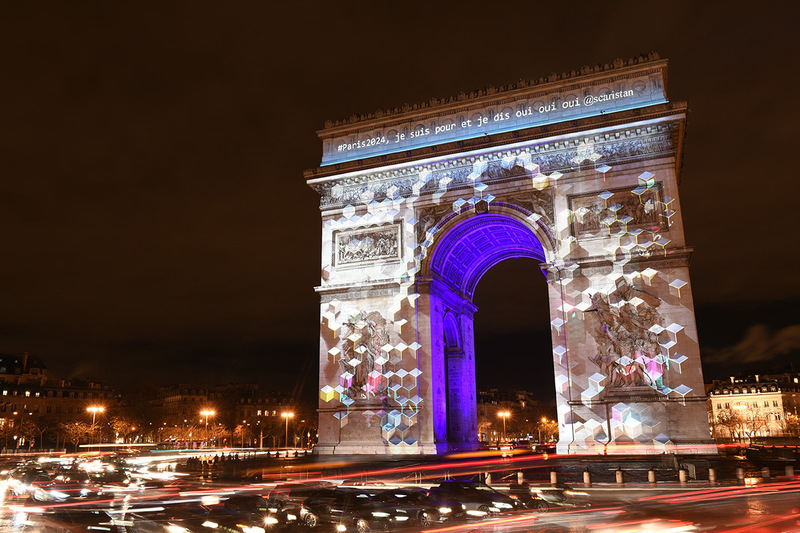 The Double 2 agency orchestrated an ingenious engagement campaign to reveal the “Paris 2024” logo on the Arc de Triomphe. Goal : The goal was to make the Paris 2024 logo reveal a “big bang” event to create resonance and popular engagement. From 7pm on 9 February 2017, the Twittersphere was integral to the Paris candidature logo reveal on the Arc de Triomphe: 1 tweet of #paris2024 = 1 pixel revealed. At 8.24pm (i.e., 20:24 on the 24-hour clock) live on TF and iTélé, 2024 tweets revealed the logo for the Paris 2024 Olympic Games.